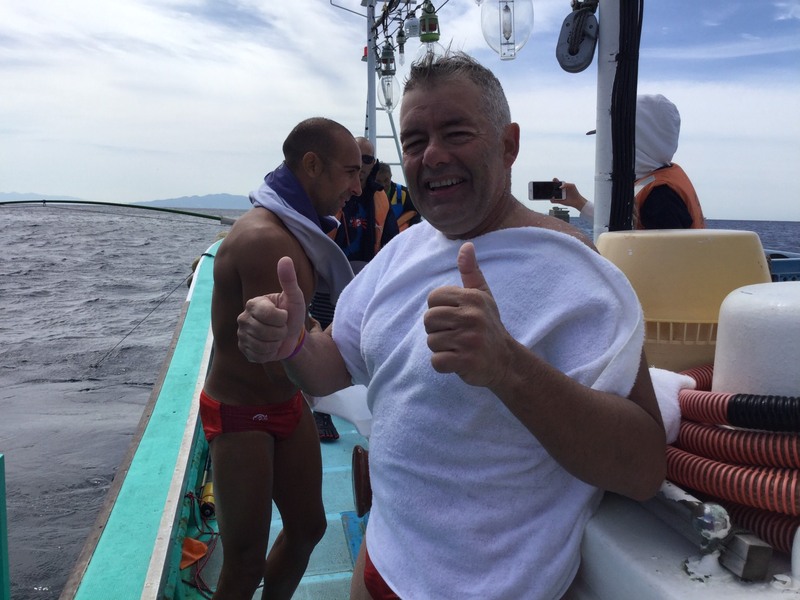 Jorge Crivilles Villanueva from Alicante, Spain is gradually knocking off all kinds of goals in the open water swimming world: Triple Crown of Open Water Swimming, 24-hour Club, and is en route to the Oceans Seven with four crossings of the English Channel, Catalina Channel, Strait of Gibraltar, and as of today, the Tsugaru Channnel. 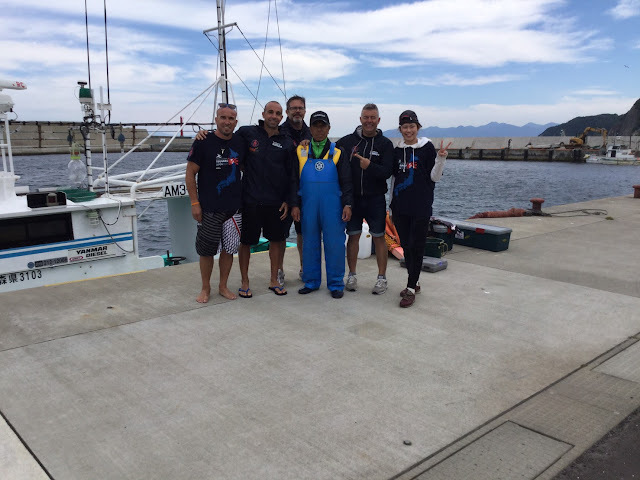 Crivilles completed a fast 8 hour 29 minute crossing from Honshu to Hokkaido today - the first Spaniard to swim the Tsugaru Channel. Tom Morgenstern of Revista Open Swim reported in Spanish, "Increíble experiencia la vivida en el Cruce Canal Tsugaru hoy en Japón. Jorge Crivilles ha demostrado una vez más que es un impresionante deportista, superando, a base de fuerza física, y sobretodo mental a un Canal Tsugaru que nos ha mostrado su cara más fea." 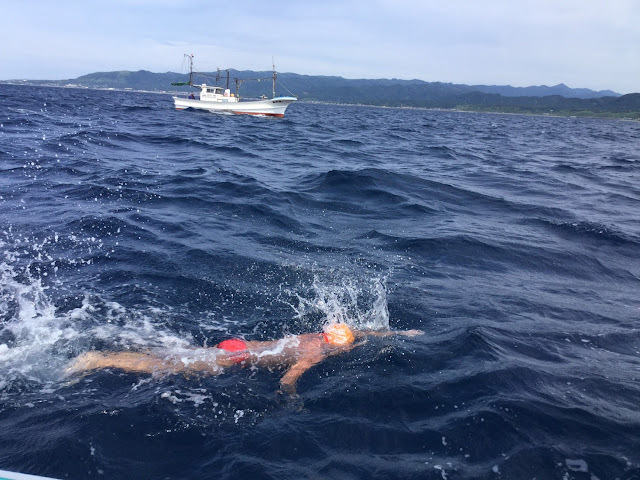 The Tsugaru Current and winds whipped up during the crossing that started at 12:52 am in water that ranged from 19°C to 22°C. "It was a great time and ideal pacing for the channel that was so turbulent today," remarked Steven Munatones.